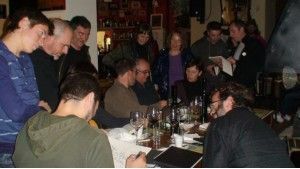 It is a meeting for people who like drawing and they do a marathon of taking notes in different places. 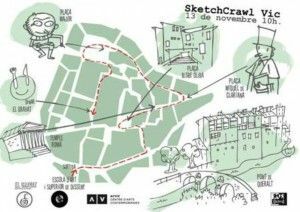 We invite you at the SketchCrawl Vic, on Saturday 13th November, to do the tour indicated in the map. 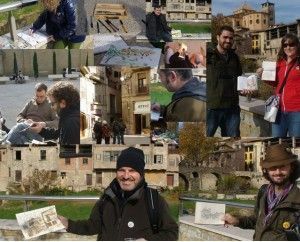 The activity starts at ten o'clock at Escola d’Art i Superior de Disseny de Vic and it ends at two o'clock at the Restaurant El Gravat.